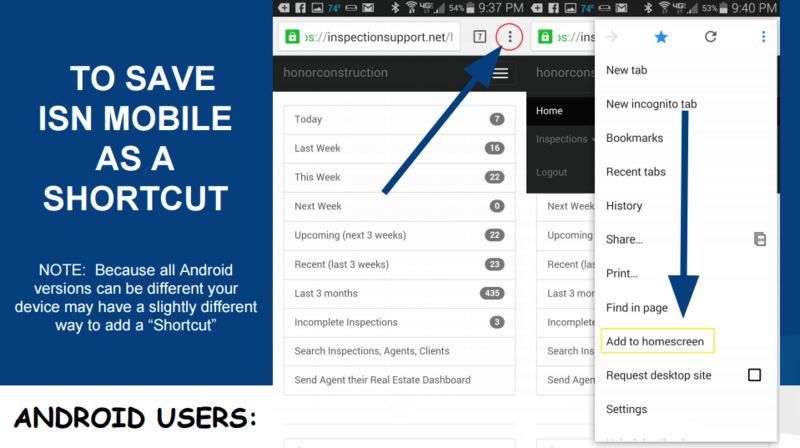 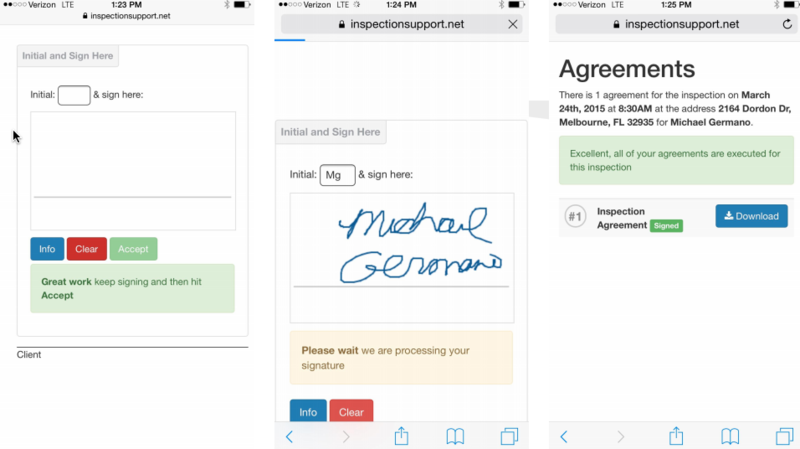 Inspection Support Network has a mobile version of our website that can be a tremendous tool for inspectors. 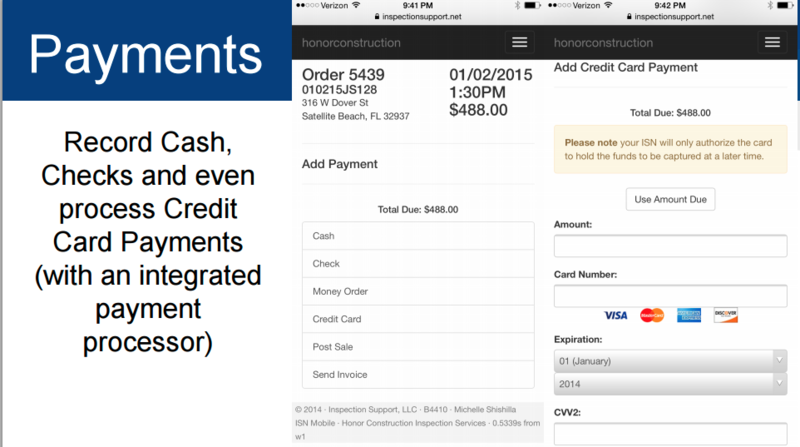 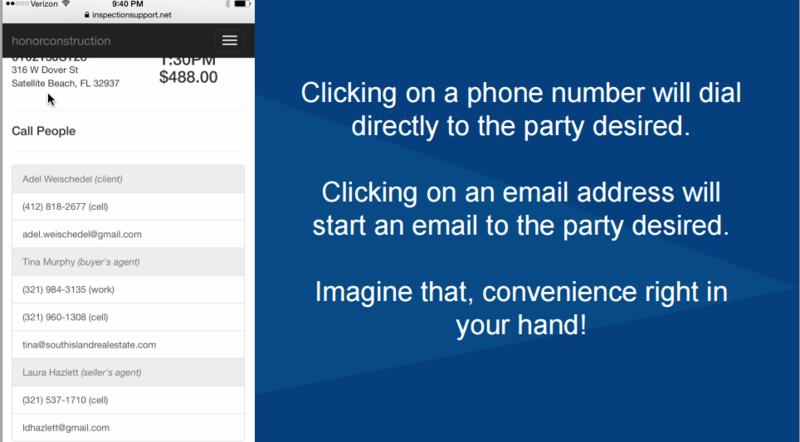 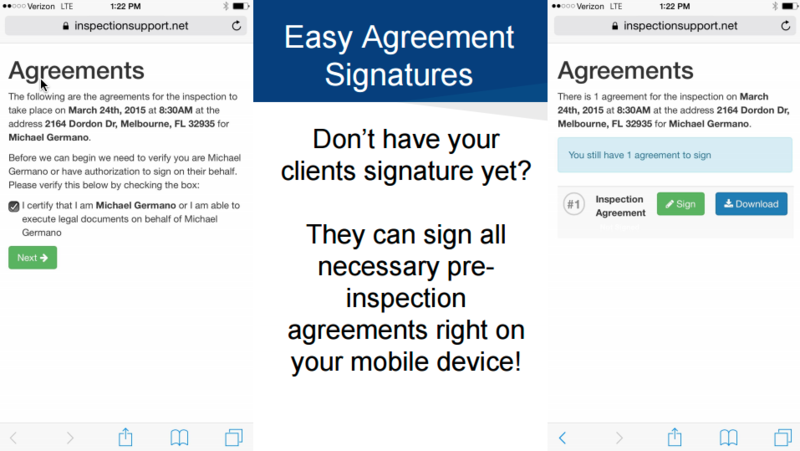 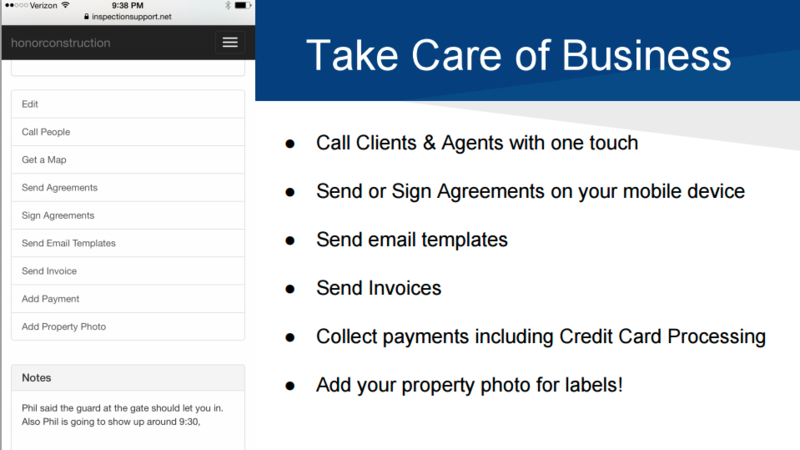 Sign agreements, view client, agent and access info and even take payments all from the field! 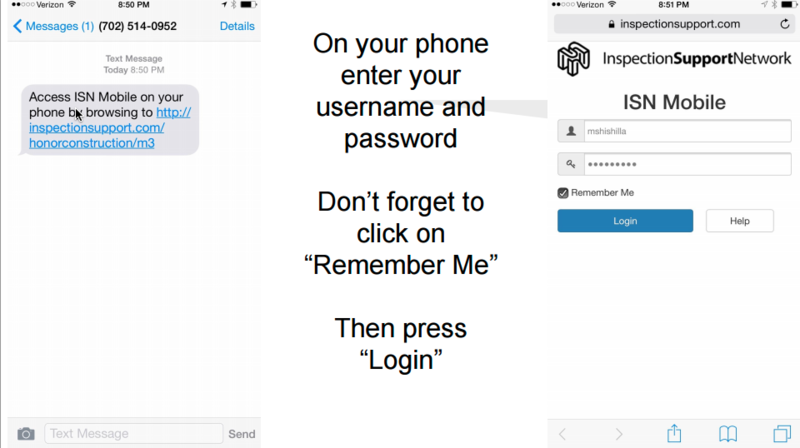 To Begin, send yourself the link. 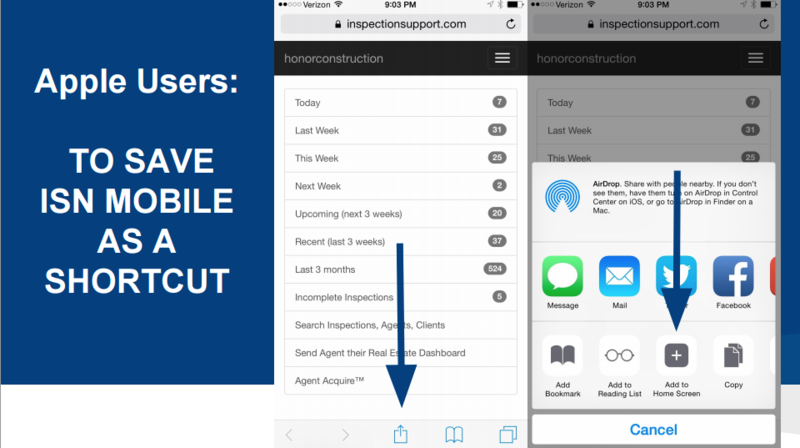 Go to Tools -- Send my Mobile Device the ISN Link or click on the Send Me The Link button on the bottom right of your ISN in the footer. 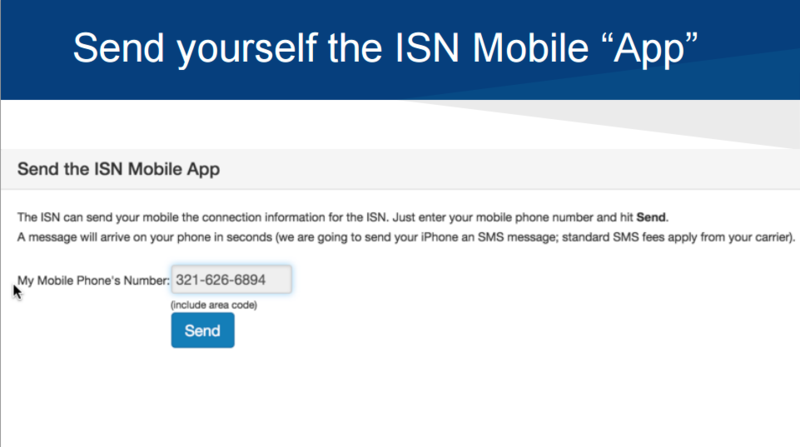 As you can see your ISN Mobile "App" will allow you to do many helpful tasks from the field. 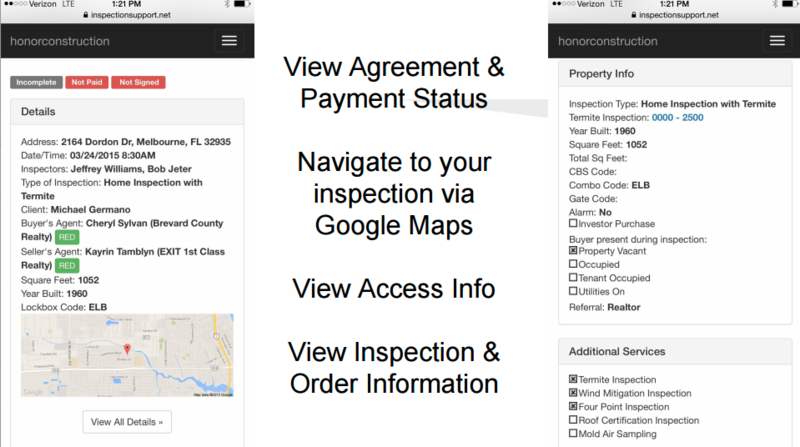 Whether you need to navigate to your next inspection via google maps, have your client sign their agreement or even send The Real Estate Dashboard link, your team at ISN has made it easy for you to be connected and get business done! 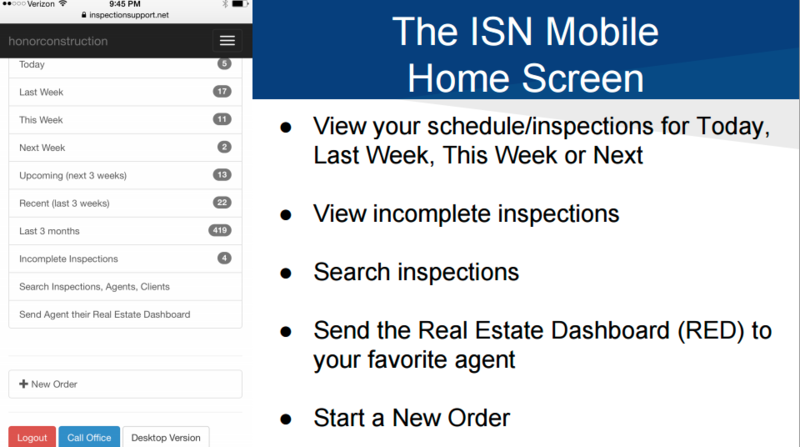 ***ISN Mobile is a mobile version of your ISN. 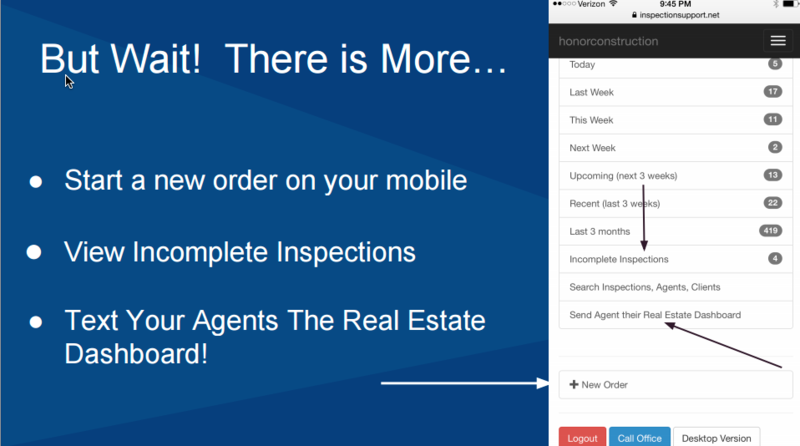 It is not a true "App" and therefore can be updated quickly! 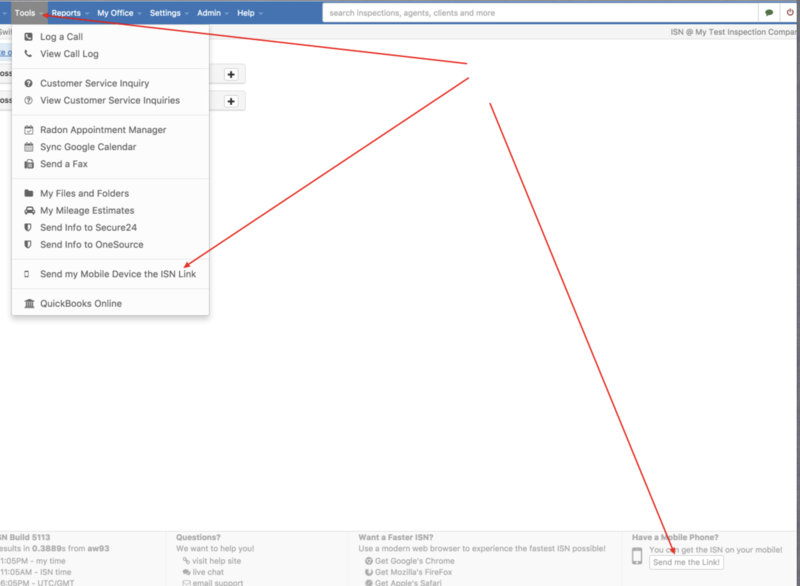 - It will not be found in Apple's market or Google Play.